Body Armor® Pro Term is an interim orthosis for use after Chopart and Lisfranc amputations. Load transmission to the proximal foot is ensured by the wedge-shaped outsole and inner sole. The robust cross-ankle shaft stabilizes both the talocrural and the talocalcaneal joint. 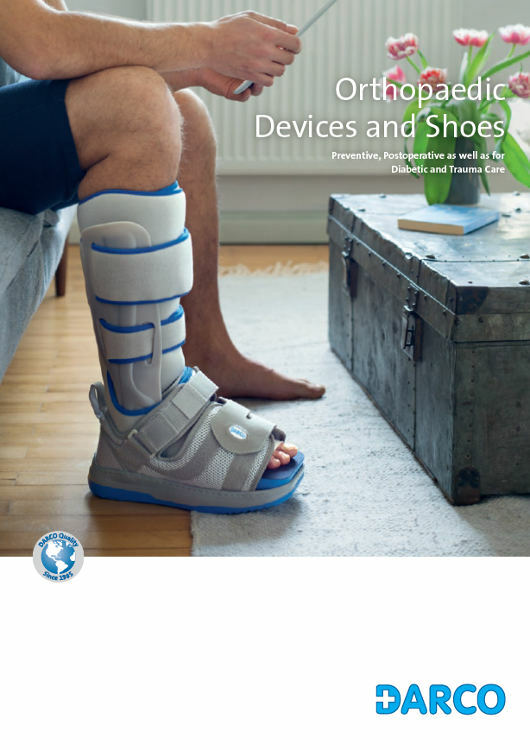 The incorporated adjustable air pads allow this orthotic device to be adapted even better to the foot stump situation. The ventral support tongue provides compression over an extended area thanks to the variable closure system. 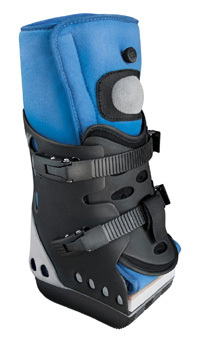 The Body Armor® Pro Term Foot Stump Orthosis is designed without forefoot. The patient cannot roll over it.